Bridge Title Inc – We perform title and settlement services on residential, commercial, new construction, investment and distressed property. We perform title and settlement services on residential, commercial, new construction, investment and distressed property. Bridge Title, Inc. and Dominion Law Center, P.C. provide comprehensive real estate information including title insurance, escrow and closing services as well as title and abstract reporting. We perform title and settlement services on residential, commercial, new construction, investment and distressed property. Bridge Title Inc. was started with several goals in mind, to be the best in the business, by being efficient, economical and effective. The founders of Bridge Patrick O’Neill and Chris Kachouroff wanted to create a company that stood above the competition. The two founders believe that the most important aspect of the company is customer service. With a combined 25 years of experience, Chris, Patrick, and the Bridge team have the knowledge necessary to handle any type of transaction, from residential to commercial and everything in between. We may not be the biggest title company around, but believe that size is not the only answer it’s the quality of work produced. Bridge Title has consistently provided a level of expertise that is unmatched. The professionals on staff make each transaction seamless from contract to closing giving me more time to focus on my clients needs. I can always count on Bridge Title to offer convenient settlements at a competitive price, extensive knowledge of the industry and laws, as well as responsive teamwork to accomplish a common goal in the best interest of our clients. We have been in the business for 15 + years and come in contact with many title companies. Bridge Title is by far the most friendly yet professional, trustworthy, dependable, accommodating, fair priced title companies by far. I look forward to my smooth closing experience each and every time. We always trust our clients to be in the best hands with Bridge Title. In the past 11 years Bridge Title has always provided top notch, error free closings for our 30+ yearly deals. As a real estate professional having a solid title company is imperative for my clients – Bridge Title has not let me down. I would highly recommend Patrick and his team to buyers and sellers alike! TriCrest Homes has worked exclusively with Bridge Title, Inc. for over 7 years. Over that time, we have developed an outstanding relationship with Patrick and his staff. The timelines, creativity and dedication to client satisfaction has set Bridge Title apart from other title companies. Bridge Title, Inc. exemplifies what title companies should be, organized and efficient with the ability to make transactions seem routine. That is why we will not use any other title company. Bridge Title provide a high quality of service to all parties. Everyone very friendly and go beyond to ensure customer satisfaction. I recommend..
As a high volume licensed real estate agent for 18 years, my clients experience is and service level are the most important part of my business and its success. I only use the best service providers available. Bridge Title is hands down the best title company in Northern Virginia. Bridge Title’s staff is professional, friendly, experienced, savvy and make my clients comfortable, assured and confident that their home purchase settlement is done as it should be, with perfection! Everything you want in a title company! Personalized service, high-quality and punctual work, reasonably priced, friendly and approachable for agents and buyers/sellers, always able to navigate through the toughest one-off situations. Bottom line, they have my back and always make me look good in front of my clients…so glad I got connected with these guys early in my career. Bridge Title Inc., and Dominion Law Center, P.C. work closely with Real Estate Agents, Lenders, and all other parties associated with a real estate transaction. We are proud of our industry reputation as one of the best in the business. Bridge Title, Inc. and Dominion Law Center, P.C. provide comprehensive real estate information including title insurance, escrow and closing services as well as title and abstract reporting. We perform title and settlement services on residential, commercial, new construction, investment, land acquisition, and distressed property. Whether you are buying or selling, we have an experienced team that can knowledgeably guide you through the entire sale process. A majority of our business stems from the purchase or sale of residential property. You can always count on Bridge Title, Inc. to provide the highest communication and customer service, which ensures a smooth closing. Looking to refinance your home? Let us do the heavy lifting by making the closing as convenient as possible. You can choose to come to our office or we can come to you for closing. We have excellent relationships with the area’s top lenders, which makes for a great closing. Bridge Title, Inc. has performed numerous commercial transactions, from retail office space, to rural farms, we do it all. We are often selected by area Builders to assist in land acquisitions, and subdivision creation. Here at Bridge Title, Inc., we understand the value of relationships, and we work hard to maintain them. Please do not hesitate to contact us for any of your commercial needs. We have a knowledgeable team in place that handle land sales. We at Bridge Title, Inc. understand the complexity of land sales, including roll back taxes and development requirements. If you are buying or selling land, let us help guide you through the settlement process. Before you purchase a property, the title or escrow company does an initial search of its title to determine the history of ownership and ensure it is clear of defects, liens, easements, encroachments, or other restrictions on the property. Click a term below to see examples of each. immediately becomes the owner of the entire property upon the death of the other joint tenant. Tenants by the entireties is a special form of joint tenancy that exists only for married couples. Both owners have an undivided interest in the whole property. The right of survivorship is created through specific language included in the deed. Upon the death of either, the survivor takes sole ownership to the exclusion of the deceased spouse’s heirs. property into a tenancy by the entirety made in contemplation of a bankruptcy can be set aside as fraudulent if it is made within one year of the bankruptcy and it was made with the intent to defraud; and (2) any federal Internal Revenue Service liens applicable to only one spouse will attach to the property. Unlike tenants by the entirety, joint tenancies can be severed. If one joint tenant decides to convey his or her interest in the property, that interest is conveyed and the joint tenancy ends. 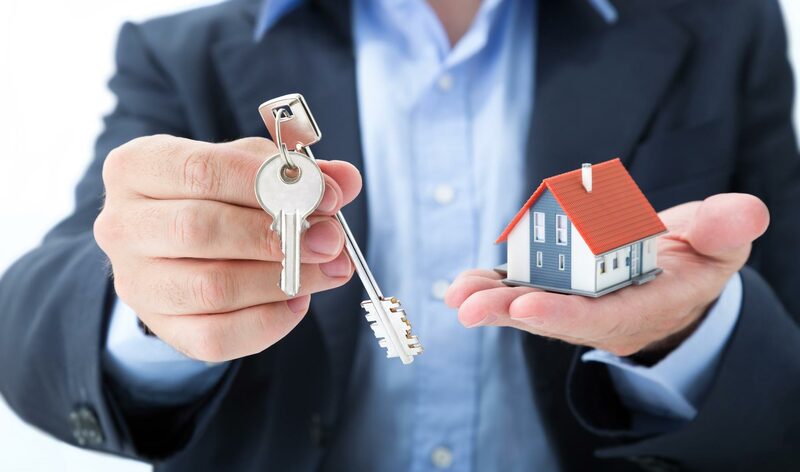 Tenancy by the entireties is also different from a joint tenancy because, if title is held as tenants by the entirety, one owner cannot unilaterally convey his or her interest in the property and the tenancy cannot be severed except by action of both parties. Tenants in common is the default form of ownership in Virginia when there are multiple owners on title to the property. This is when two or more people own an equal or unequal undivided share in a property if stated in the deed and each has an equal right to possess the entire property. However, tenants in common do not have the rights of survivorship that exists in a joint tenancy. When an owner dies, his or her interest will not pass to the surviving owner or owners but will pass according to the deceased owner’s will or to the deceased owner’s statutorily determined heirs. There is no creditor or judgment protection for tenants in common. Liens and judgments against only one of the owners can attach to that owner’s portion of the property. A fire could destroy a house and any improvements. The ground could be left. A defective title may take away not the only the house but also the land on which it stands. Title insurance protects you (as specified in the policy) against such loss. A deed or mortgage in the chain of title may be a fraudulent. A deed or a mortgage may have been made by an person otherwise incompetent. A deed or a mortgage may have been made or executed under a power of attorney after its termination or revocation and would, therefore, be invalid. The testator of a will might have had a child born after the execution of the will, a fact that could allow the child to claim his or her share of the property. A deed or mortgage could have been procured by fraud or duress. Title insurance covers your attorney fees and court costs. By insuring the title, you could eliminate delays and technicalities when passing your title on to someone else. Title insurance can reimburses you for the amount of your covered losses. Each insurance policy we produce is paid up, in full, by the first premium for as long as you or your heirs own the property. There may be a defect in the recording of documents necessary for your title. Claims constantly arise due to marital status and validity of divorces. Title insurance can protect against these. Title insurance protects you against challenges to rightful ownership of real property, challenges that can arise from circumstances of past ownerships. Each successive owner brings the possibility of title challenges to the property.